It was the same thing with the rush to shut off XStreet SL and turn on Marketplace. MP was clearly no where close to ready, yet they shut down XStreet SL and turned on MP .. an most of us suffered badly from the errors, bugs, annoyances and just plain untested code. There was no rhyme or reason for the early shutoff, but they did it anyway. That's why I'm fairly sure there is no "reason" this time either, it's just someone up top barking because they can. I suspect someone above them said "We MUST get those magic boxes shut off in two months .. or else!" "OR ELSE: people will continue to note that the boxes at least work no worse than fully deployed DD, thus making the whole project a huge waste of LL's investment into my personal pet project!" Oh how quickly you've forgotten. All the issues, pains, problems and hassle you had with your Magic Box (and eventually Boxes), yet now you claim they work just fine? C'mon Josh. Get real. You know darn well the issues with Magic Boxes, with offline delivery, with Sim Down or communication errors or .. or .. or .. ad nauseum. DD will fix those problems. As soon as it gets through its own peculiar set of startup issues, it won't develop the same ills as Magic Boxes .. and then we'll see why they switched over. just want to say well done and thank you to Gavin. We have over 60 purchases that were received and paid for that are in the dreaded holding pattern so far and have sent a detailed transaction list with our ticket,good advice btw Darrius. >Oh how quickly you've forgotten. All the issues, pains, problems and hassle you had with your Magic Box (and eventually Boxes), yet now you claim they work just fine? I would say that they are now being allowed to work just fine, which much supports my earlier belief that they were not being allowed to work properly. Nonetheless, you can expect them to all get massively borked right at the end, the apparent malfunction both funneling huge amounts of money into some place the Lindens will pretend they would never imagine to look, while also creating a final big push into the mandatory downgrade that will continue to steal in ways that will be harder to trace than the box thing would be if allowed to continue. >C'mon Josh. Get real. You know darn well the issues with Magic Boxes, with offline delivery, with Sim Down or communication errors or .. or .. or .. ad nauseum. Intentional borking. As market manipulation and as distraction from criminal acts elswhere in the system. The solution should be to prosecute someone, not to give him more tools with which to steal while allowing him to cover his tracks by eventually eradicating all record of the system he had earlier been using to steal. >DD will fix those problems. They had 6 months to fix them after the first failures. How long will they need this time? If it's another 6 months and the boxes are gone for most of that time, what will happen to the SLM? And what if it, again, takes more than 6 months? >As soon as it gets through its own peculiar set of startup issues, it won't develop the same ills as Magic Boxes .. and then we'll see why they switched over. I think I already see why they're switching over, thanks. please check it thank you! 1. The specific payment system broken issue (issue-4559) has now been proved by more and more merchants. This issue is caused by update to Direct Delivery. 2. Through our investigation, items named with "unicode characters" will be stuck on "being delivered"--though in fact items already received by customers inworld, customers also being charged by the system, however, merchants couldn't get any payments from the new system. 3. This situation only happens when using Direct Delivery. 4. Once merchants put items back to Magic Box, issue-4559 doesn't exist. 5. Once merchants change item names (without unicodes), issue-4559 doesn't exist. 6. I bought items in my own store several times to test this issue in many ways, and so did other merchants, and we all found the same results. 7. When we bought items (with unicode characters) in our own stores, we found direct delivery can only deliver items to customers, but it can't deliver payments to merchants. We were charged, and the items received, but the money never delivered to our stores. 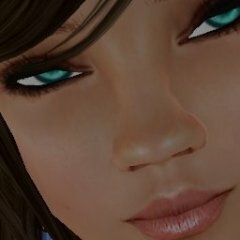 This issue should be informed to other merchants by Lindens, or it will probably drive other store owners crazy after they finish upating to DD. hi Super - that is Super! that you got your bug fixed. I noticed that you removed the Jira 4441 - can you please insert that into your original post again, please? You've got placement in google search on this thread, and I would like to see 4441 addressed. And yet...some people -- including one in this thread -- were delighted with the Marketplace in that state and could not wait for it to launch, even as we begged LL to delay launch. Hugs <3 thank you everybody!! yes the merchant community is powerful!!! In the begining I was here, I'd expected that I should have been helped by Lindens, but throught these days...wow, I've been surprsied by you guys!!! Also congrats to Brummund and Paul! Wow, you sure know how to spin aggravating factors as mitigating factors. Yes, it's slow for everyone, which is worse not better. You ignore the limited time only, (get it now or miss out subtext implied) bear. The group who would rush to keep banging away under lag conditions, given a three month deadline for under 10 linden items and a 5 month deadline for all stock, is no bigger than the group who will wait till the last moment whenever that is. The larger group in the middle will avoid doing it in these conditions if there is no rush. Online marketplaces are an established genre. It's all fairly proceedual and it's not a mitigating factor if the whole time LL has babbled about DD they had an underlying problem from "new", for such a proceedual system, and despite the working example of XStreet as a head start. So far as complexity and uniqueness goes, approximately the next step down into standardization of software is the one-size-fits-all kind that works out of the box. It's an online marketplace, not the ground-control system for NASAs next generation of inter-planetary space exploration. we'll keep a chair ready for you. So we've always been told. Of course I expected there might be different problems with similar symptoms. I expected there might even be some merchants insisting they were the same problems, while Commerce Team told them it was definately a different problem, that happened to have the same symptoms. That's not how it happened though. >2. Through our investigation, items named with "unicode characters" will be stuck on "being delivered"--though in fact items already received by customers inworld, customers also being charged by the system, however, merchants couldn't get any payments from the new system. >5. Once merchants change item names (without unicodes), issue-4559 doesn't exist. What do you suppose is the comparative probability of someone successfully seeking recourse on "glitches" that cause money to go places where LL can't even seem to find it if that person does/doesn't use the following characters in their listings? Of course, a significant number of such people can't really be using the SLM, or there would be something done in the basic design of the SLM to invite and accomodate them. This is an interesting point, because when the listing is edited, the past orders show the now corrected listing name, not the old name it was delivered as. But Lindens can surely check to see that the customer was charged, not refunded, and so it should not be a stretch to get these payments pushed through to the merchant. It is disappointing that there is no "Item was delivered to Such Andsuch" in chat for the merchant to save in their chat logs for further evidence that items were delivered, for cases like this. Is there a feature request for this yet? >This is an interesting point, because when the listing is edited, the past orders show the now corrected listing name, not the old name it was delivered as. Because Malefactor Linden has at least some idea how to cover his tracks, yes. So even after everyone migrates back to the boxes, the name changes will either stay, or people whill have to change them back, which is only adding an additional layer of ambiguity as an excuse not to handle the matter with proper diligence. >But Lindens can surely check to see that the customer was charged, not refunded, and so it should not be a stretch to get these payments pushed through to the merchant. But why would they do that if it means (or if they think means) lower total revenues for them? >It is disappointing that there is no "Item was delivered to Such Andsuch" in chat for the merchant to save in their chat logs for further evidence that items were delivered, for cases like this. Is there a feature request for this yet? You can go ahead and request it, but I'm 99% certain that they will never provide it. Given the way everything has gone so far, the last thing LL should want users to have is any tool that will make any of us less clumsy documentarians than they are. Since the unicode bug has been clearly reproduced, I don't see why it should be an issue for LL to push through payments on all recently fubared transactions where the buyer was charged and received the item but merchant was never paid. This should be a matter of course. And in older cases where the item was clearly received by the buyer and the merchant never got paid, whichever Customer Support Rep made the official decisions to not push through payment to the Merchant needs to be reprimanded and the money needs to be credited, finally. Even in ambiguous cases, if the money was never refunded to the buyer, the merchant should be credited as a gesture of good customer service. Sadly, LL Customer Service in general is sorely lacking. Ever since "Scouts" were brought in, I have lost most of my confidence in LL's general customer service. Personally I think the problem lies with giving these CSRs too much power to make decisions without escalating issues to an experienced Linden. Every time I am in contact with an actual Linden, the result is usually more than satisfactory. The fact is, sometimes you have to do more work than you should to get things right, since you are closer to your own interests than the company is. >Since the unicode bug has been clearly reproduced, I don't see why it should be an issue for LL to push through payments on all recently fubared transactions where the buyer was charged and received the item but merchant was never paid. This should be a matter of course. Yes. And that it neither is nor will be a matter of course should tell you something. >And in older cases where the item was clearly received by the buyer and the merchant never got paid, whichever Customer Support Rep made the official decisions to not push through payment to the Merchant needs to be reprimanded and the money needs to be credited, finally. Even in ambiguous cases, if the money was never refunded to the buyer, the merchant should be credited as a gesture of good customer service. None of which is happening and none of which will happen until either someone is fired or someone is told they will be fired if they don't make this happen. Which is most likely never. >Sadly, LL Customer Service in general is sorely lacking. Ever since "Scouts" were brought in, I have lost most of my confidence in LL's general customer service. Personally I think the problem lies with giving these CSRs too much power to make decisions without escalating issues to an experienced Linden. But Brooke needs them as a buffer since I publicly called her out for straight-up lying to us prior to the 13 September incident, thus eventuating the birth of multi-user Lindens for Brooke and her team to hide behind, making it less clear who is being inconsistent with whom. So they're mostly here to stay at least as long as Brooke is. >Every time I am in contact with an actual Linden, the result is usually more than satisfactory. That I have had reason to be personally dissatisfied is openly documented in my discussion regarding the correct order of delisting items from the SLM and deleting them from Magic Boxes. If you see that discussion, you'll see that even getting any vague admission of anything being other than my own fault from even one of the most cooperative Lindens was like nailing Jello to the ceiling. Likewise the discussion which later caused a Linden to have to admit that my item had been in an acceptable category when someone at LL decided to delist it for being in the wrong category. >The fact is, sometimes you have to do more work than you should to get things right, since you are closer to your own interests than the company is. That, I understand. But when it comes to user retention, it seems like I'm closer to the company's interests than the company is. They seem to be hell-bent on discouraging new users from being able to make efficient use of the SLM, and on scaring away even their most fanatically tolerant established merchants. They have smartened up a little bit. They used to act like they would prefer a different crop of users who wouldn't keep making mistakes that LL kept setting them up to make. Now they act like they would prefer a different crop of users who just don't give a f### what is broken, how, why, or for how long. And they actually have accumulated some of these Kool-Aid drinkers. But as a coherent plan to recruit and retain a sustainable user base, it's a formula for failure. When LL drops the ball regarding anything someone tried to buy from me, I give them the item for free and throw in any extras in which I think they might be interested. I give customers not only more than I promise, but more than what LL promises. I'm eager to do this for my customers because I think merchants and customers are basically all on the same side in a bad service war being instigated by LL. I help to retain these people as SL users partly because it's probably to my own long-term advantage as a merchant, but also because I think SL is a medium with massive potential worth the efforts of users continuing to protect and develop it, in spite of the best efforts of the current batch of Lindens to basically hand the whole user base over to various competitors. I think the problem most folks have with my current 'tude is that they mistake my actions as me being 110% satisfied with how things are going. Problem is ... ain't so. Here's how I work things. Back when they rolled out SLM, there was no communication from the Dev Team, no feedback, nothing worked (or so it seemed) and the amount of effort it was taking to convert our listings from XStreet to SLM was intolerably high. But above all else, the silence was killer. We cajoled, coerced, demanded, shouted, bitched and whined .. did everything we could possibly think of to get someone with the last name Linden to just say "Boo!" Nada. There were a lot of side conversations about "The reason they don't engage is because they just get bitched out nonstop when they do." While not strictly true, there was a grain of truth in it. I commented on many occasions that if they would at least engage, I for one would temper my tone. Well they have been a lot more forthcoming on this major release. And while my kind response may not be of an exactly equal value as the contribution they're making, that's part of the way I do things. Someone finally loosens up and shares, I "see and raise" .. in other words do as much as they did and a bit more. If things continue, the spiral up goes higher and higher, and before long they are going WAY beyond their "normal" levels .. and things are MUCH better. I see no logical reason to begrudge them equal and a wee bit better treatment. I see no reason nor benefit to continually running the blowtorch across their feet .. not while they're actually posting routinely, coming in-world and chatting in the group, and especially not when I see things getting fixed. I really expected DD to be a MUCH worse fiasco than it has turned out to be. But above all else is the fact that they are engaging. Yes, working on a bone slow laptop does have the advantage of somewhat masking just how slow SLM is really running. But tonight even I'm aware of it too. When I have to dawdle a few seconds after a page opens before I click anything to ensure it actually catches my click .. yeah, that's slow. The original dev team did use an "off the shelf" package as the basis for SLM. It's called Spree, and near as I can tell, they've dang near thrown away almost all of the Spree code and written their own unique stuff. Which makes sense because the method of operation, the types of products and the way they're sold are worlds different than an eBay or Etsy type site. As for "the best environment to detect and remove load issues is under a high stress load" .. that's nothing new. I've been using that technique to optimize my software since I was coding in hand-assembled Z-80 opcodes on an industrial grade robotic controller. (And yeah, that was a LOOOOONG time ago.) When you discover a section of code that is running a bit slow, tweaking it will have a much larger and more easily measured benefit when the system is under extreme stress. You also gotta remember that this team is, for all intents and purposes, brand new. They mostly weren't here when XStreet SL was alive, so they have no benefit of that experience. And the one (or two) that were here in those days were so disconnected from the Merchant side of things that I know they didn't have a clue how a Virtual Goods sales website should work. That was evident in some of the initial bonehead decisions made when they initially released SLM. A fair number of the "really neat feature" they included were things that had once upon a time been tried by XStreet SL and discarded because they just did not work in this environment. But the SLM dev team had to learn that all over again as the experienced members of the staff and residents were not consulted, or not believed. Overall, this latest feature is far less problemmatic than we (me included) predicted. That's a good thing. Yeah, there are some killers but it's only been a week. I've seen projects go 18 months past deadline and STILL not ship a dang thing. (But I did get the opportunity to deliver a VERY delightful "I told ya so!" when management canned the whole team and file 13'd the project. LOL) So yes, I'm being nice, and yes I'm casting a favorable light on things. But I have specific and for me logical reasons .. and that's enough for me. For the sake of the continued existence of SL, LL need to lift their standards to that expected by the wider market they hope to capture, not merely make those users who have not been driven to quit already say "well it's not as bad as last time". Totally agreed, but it's not a change that can be accomplished magically overnight. Small even manageable steps will do just fine, as long as the steps continue in the "right" direction. It is a change that would be accomplished overnight if they would just fire one person. I'm sorry Darrius, but you do not get an abusive spouse to change by endorsing face slaps in place of a punch in the head, nor do you cure heroine addiction by spending only your own pay packet on drugs, instead of spending your own then robbing your neighbours and spending their's too. Somethings happen in steps, but some allowances are simply enablement and send a clear message to the problem party that it's ok to slide like this. It's not ok to slide like this, even if they slid worse in the past. Nor do you encourage improvement by continuing to chastise only and withhold any praise until the abuser stops completely .. or until the heroin addict stops using. Improvements need to be encouraged with positive and reassuring praise. Failures and back-sliding need to still receive negative responses and verbal correction. You may not have noticed, but I still have quite a few recent posts around here chewing the Linden backsides for some of the mistakes that are just now coming to light. But I will not withhold praise or positive encouragement just because they're not 100% cured. I just went and dug into the JIRA Issue WEB-4441 that you mentioned. You were telling Super String that you didn't get paid for that one and thus he shouldn't expect to be paid either. But when I read your comments on that JIRA, I see that the two situations are totally different. In your case, the customer placed the order and funds were withdrawn from their L$ Account. However the product was not delivered after 4 hours, so you manually delivered the item yourself. In Super Strings case, the customer placed the order, funds were withdrawn from their L$ Account and the product was delivered ... however Super String was not paid. In your particular situation, you took it upon yourself to deliver the item "ahead of schedule" (sooner than the 8 hour timeout) and you were requesting a refund for the item you sent the customer. However it appears that at the end of the 8 hours, the customer was refunded and thus LL never received the money the customer initially paid. Therefore they had nothing to refund from. In Super String's case, the money was paid by the customer but not refunded. The item was delivered so Super String didn't have to redeliver. LL did receive the money and thus they owe it to Super String to pay him. They are totally separate issues not at all related to each other. I'm surprised you would see them as being the same thing. "Once the Dev Team is able to fix the bug all of the orders in the Being Delivered state will be updated to a completed state and any funds on the order will be credited to your account correctly." My counter suggestion is that the Dev Team have their salary delayed by LL by the same number of delays that this is permitted to continue for? Seems only fair really. LL have a broken architecture with an escrow account and yet it's ok for funds to sit in limbo, funds that don't belong to LL. There are merchants that extract a sizeable amount that constitutes their RL income and money sitting in Bank of Commerce Linden really isn't acceptable.